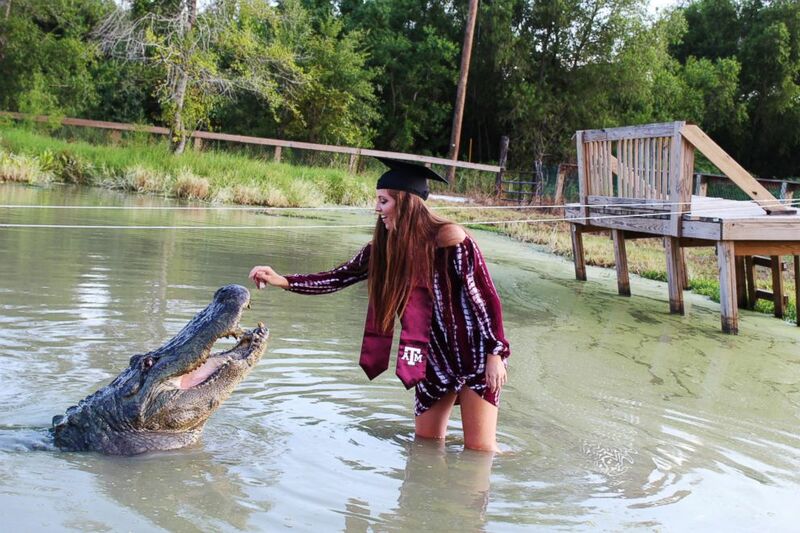 One Texas A&M senior is saying see ya later alligator with the most unique and jaw-dropping graduation photos. 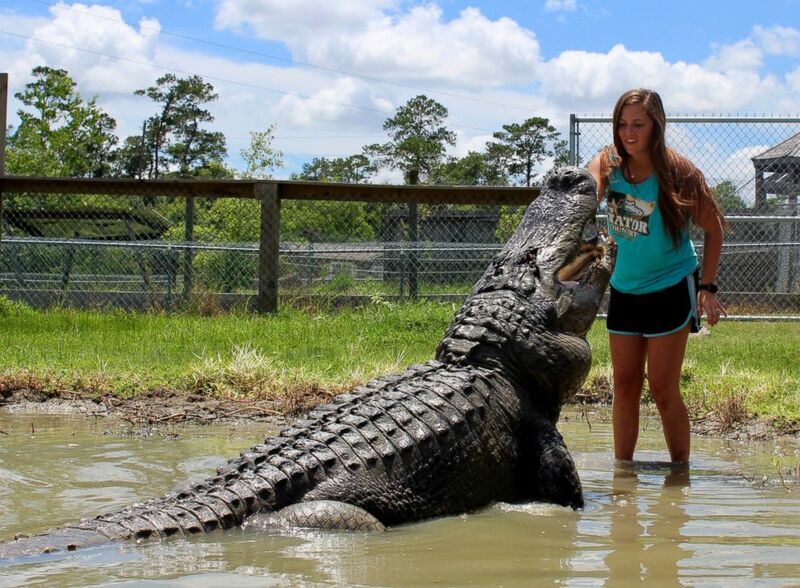 Makenzie Noland developed a one-of-a-kind bond with a nearly 14-foot long and 1,000-pound alligator during her summer internship at Gator Country Rescue in Beaumont, Texas. 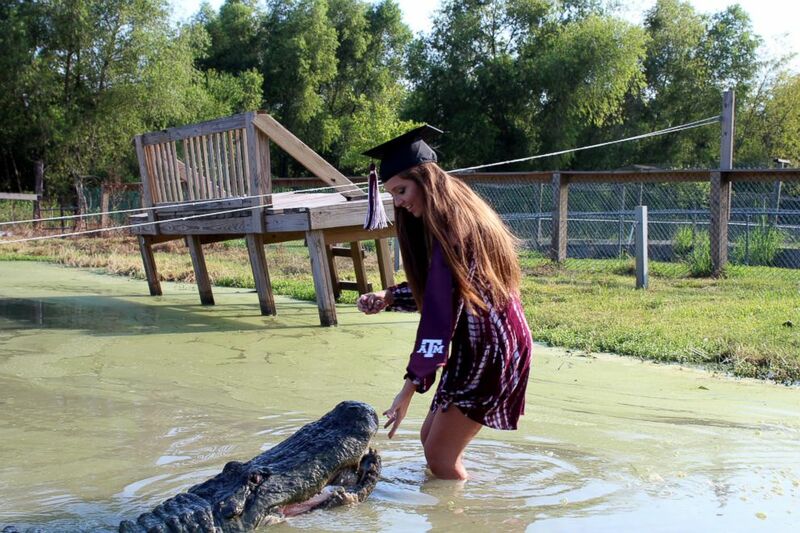 Makenzie Holland took her Texas A&M graduation photos with "Big Tex" a gator she bonded with while interning at Gator Country Rescue. "I am not scared for my life out here, I know I am in very good hands," Noland said. 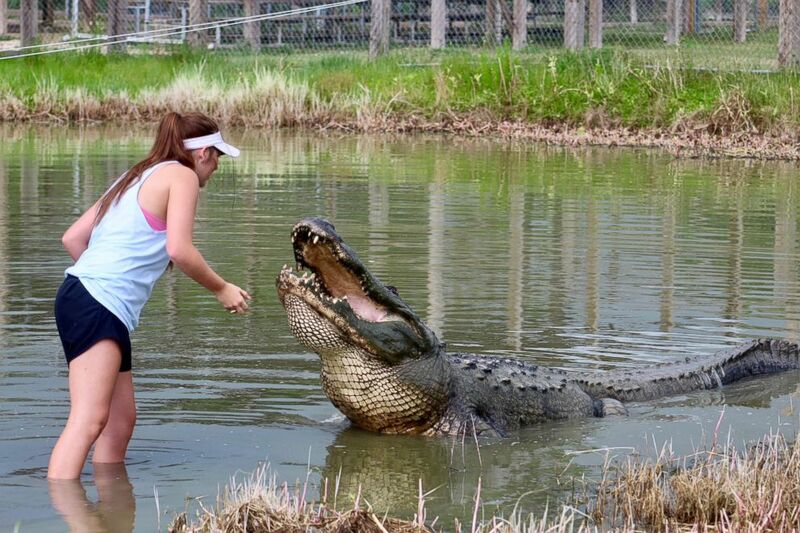 Gator Country Rescue is a 15-acre preserve that is well-known for being a safe haven for alligators and several other reptiles. The photo series received nearly 6,000 shares and hundreds of likes on Facebook in just four days. Although the gargantuan reptile looks intimidating, Noland said he's a gentle giant. "I want to come back and get in the water with Tex again and see if he remembers me because he's been a really big part of my summer and I hope that he loves me as much as I love him," she said.